Automation test analysis procedures are really essential to establish quality of any business intelligence tools by identifying out the bugs in a reliable fashion. Testing professionals of a software testing company loves to use automation testing approach as it not only reduce the overall testing cost but as well as decrease the time required for development. It’s a time saving technique to evaluate the actual level of quality possess by any BI tools. In comparison to manual testing, automation takes less time to evaluate bugs out of a software. It’s the responsibility of the development team of BI tools to employ automation testing procedures with the help of a software testing company. Sustainability in the employment of software test analysis tools is the key to establish perfection in a software performance. Automation testing frameworks will only certify the desired benefits, when these will be implemented in a sustainable fashion. Diverse range of automation testing tools are implemented by a software testing company to ensure quality through automation. These tools include Rational Functional Tester, Monkeytalk, Robotium, Rational Robot, Telerik Test Studio, Selenium (C/C++, C#, .NET, Java, Visual Basic, Python and PHP. ), Borland SilkTest and HP UFT/QTP. 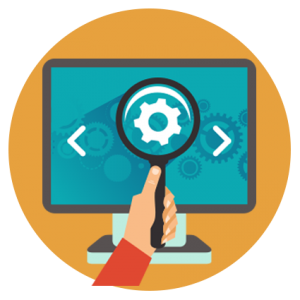 A comprehensive automation testing strategy should be in places by the development team of BI tools. They have to make it sure that, quality of their IT product is perfectly maintained through automation analysis so as to achieve expected user’s reliability. Normally, an automation test analysis procedure is based on the following parameters.